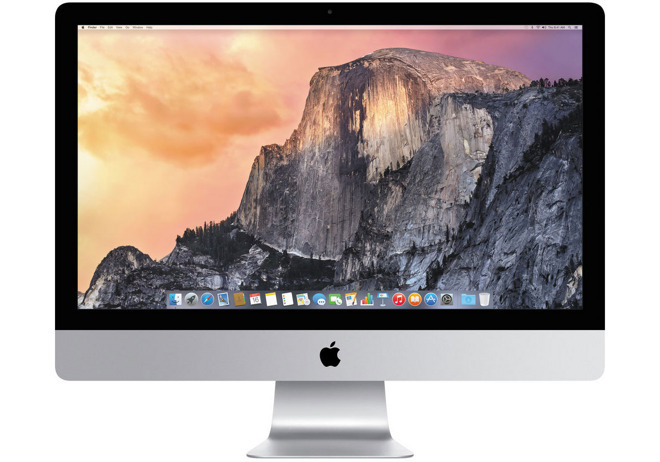 Apple authorized reseller B&H Photo on Sunday dropped the price of Apple's Late-2014 27.0" iMac 5K (3.3GHz/8GB/1TB-HDD/M290) model MF886LL/A down to a record low of $1,699.00 with free shipping and no sales tax if you have a shipping address outside NY. This is not only $700 off Apple's original price, it's also the lowest price available anywhere for this model by $100, according to our Price Guides. This is a closeout model, which means inventory is limited to available stock.